Goolge Takeout is a service that is provided by Google for its users to help them back up their data and even transform it to other platforms . Google has more than 70 products published online and most of them are free to use. At average every user has access to ten of its services which remains a high percentage compared to Googles competitors. As is the case with every virtual platform, some users change their mind about certain services as soon as they try them and so they look for ways to undo what they did. for Google users who have been using its products for a certain period of time and want to quit, they need to use Google Takeout. This service will enable them to back their data and take it with them to other services if they want to. Google Takeout lets you download your data into your computer. You can either download all of it at once or go around selecting the services from which to download it. 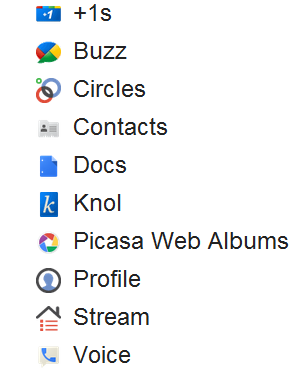 Google products covered by the Takeout are : Circles, Contacts, Docs, Buzz, Knol, Picasa web album, Profile, Google Voice, Google+ Stream and Google+. Unfortunately Blogger is not included but if you have a blog and want to back up its data you need to head over to its setting and click on "other" and then export blog. Head over to Google Takeout and give it a try.